The Goat Conspiracy Cabin is situated on our farm, surrounded by 46 acres of gentle pasture, home to 100 (and counting) Nigerian dwarf goats and over 6 dozen free ranging chickens. 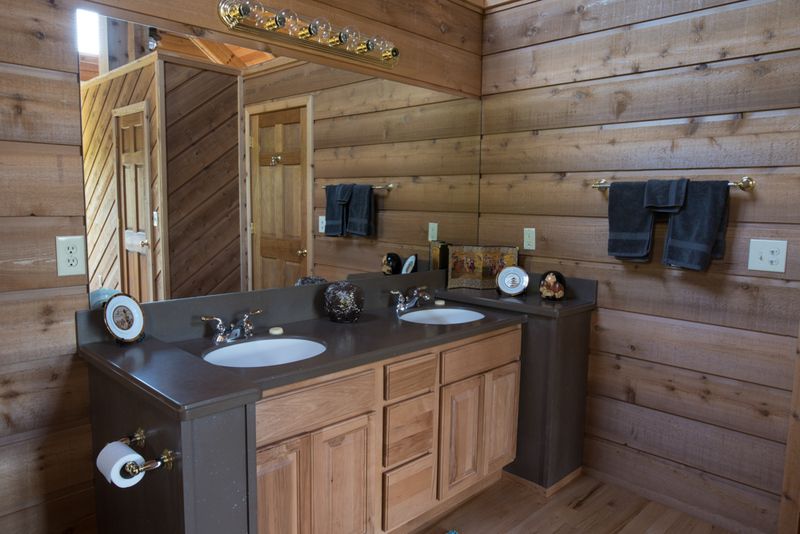 Inside our three bedroom, three full bathroom cabin, modern meets rustic. The living room provides a cozy place to settle in for conversation or a book by the fireplace. Our fully equipped kitchen opens to the dining room with a nice view of the farm and photographs by talented local nature photographer, Steve Cox. Our master bedroom suite is truly magnificent. 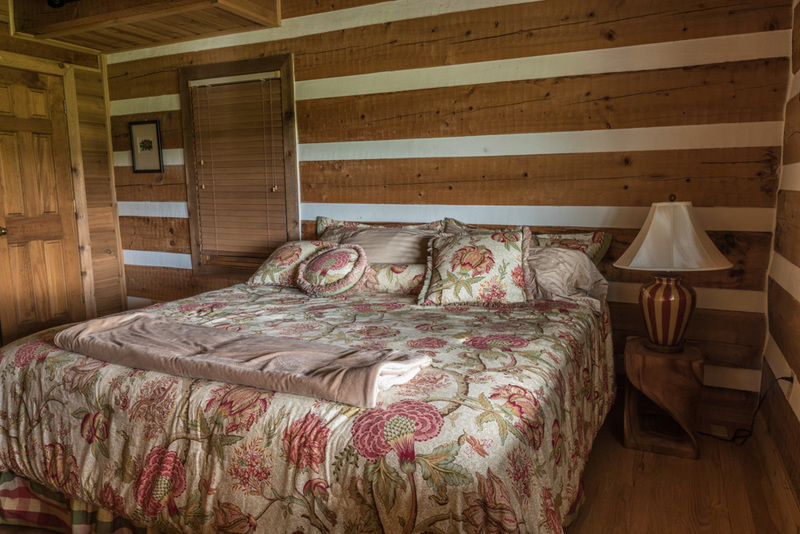 The bedroom has a king sized bed, cathedral ceilings, a walk in closet and large ceiling fans; plenty of windows allow you to wake up gently to natural light if you so choose. 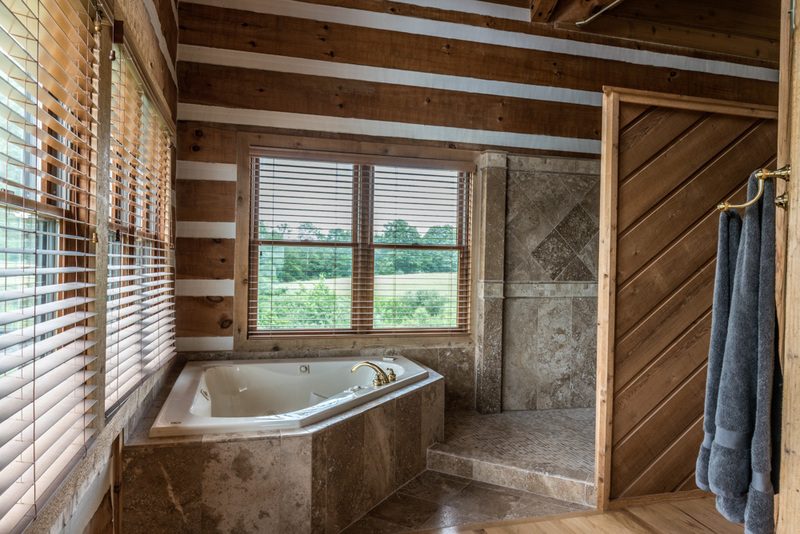 The master bathroom includes both a corner Jacuzzi with windows overlooking our fields on both sides and a spacious full tiled double shower. 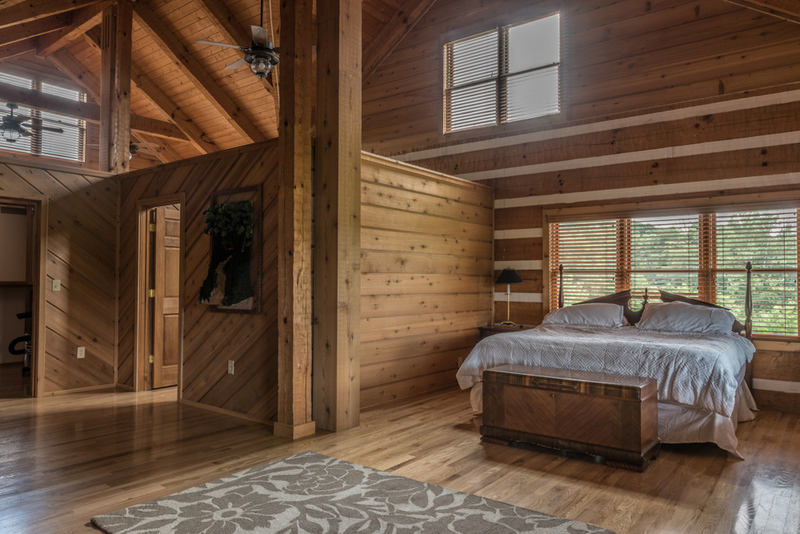 For larger groups, there is another closed bedroom with a king sized bed on the main floor. Climb the staircase to the upstairs loft, separated into a larger bedroom area with three twin beds and an adjoining yet separate area, stocked with floor pillows, yoga mats and pilates ball that can be used as a tranquil meditation or yoga studio as well as a futon couch to accommodate two more potential sleepers. 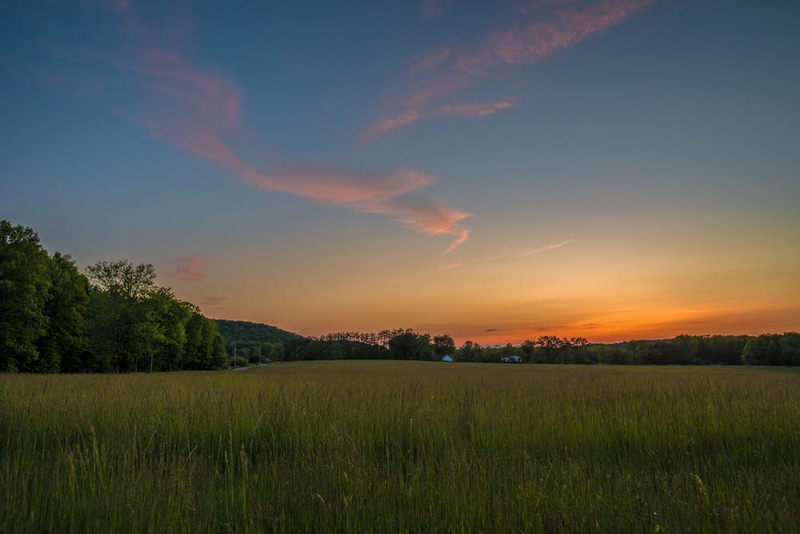 Relax in comfortable patio furniture or settle into the porch swing or hammock on the large front deck that overlooks acres and acres of pasture, a stocked pond with a small sandy beach area and a fire pit. Or grill dinner on the back deck overlooking gently sloped pasture leading to the Salt Creek. Here at the Goat Conspiracy, you are just a short walk to fishing, hiking, kayaking and canoeing. goats (especially the babies), chickens, a huge adorable pig, and lots of space! that has become our “dream” rental house, The Goat Conspiracy. area. Nicole even provided their Goat Conspiracy goat soap in every bathroom. were laughing and chatting the remainder of the night.